FROM BLEEDING COOL: Paul Levitz is returning to writing comics now that his tenure at DC Comics has come to a close, and while he’ll continue teaching, which takes a fair amount of his time and attention, this represents a new phase for him creatively. Last week we saw the arrival of Doctor Fate from DC, and readers might have wondered what’s coming up for Levitz. We’re happy to announce today that his next project, appearing in December 2015 will be the detective, occult series Brooklyn Blood. Serialized over as much as a year and a half in as many as 15 installments in the anthology Dark Horse Presents, the story will be illustrated by Tim Hamilton and be set, as the title suggests, in Levitz’s native Brooklyn. Brooklyn Blood will feature Irish cop and Iraq/Afghanistan war vet Billy O’Connor and a fellow female Arabic-American detective Nadira Hasan. 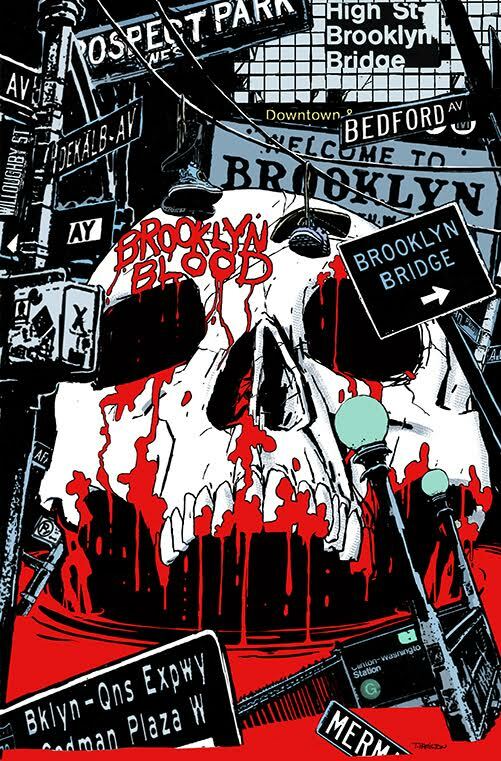 The series will focus on experiences that will challenge their perceptions of the explained and unexplained, all turning on Brooklyn’s history, the mysteries of which initially inspired Levitz to create the story. We’re happy to have Paul Levitz here today to talk about this phase of his career, the impetus behind Brooklyn Blood, elements of genre, and a generational shift in comics which he finds very promising indeed.